A number of complications can develop after you are bitten or stung by an insect. 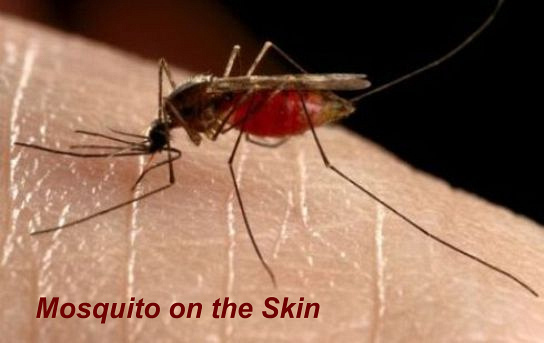 • An infection may occur if you scratch an insect bite or sting, or it may be introduced at the time you are bitten. Lyme disease is an infection caused by a species of tick known as Ixodes ricinus. Ticks are not strictly insects, but small arachnids. Lyme disease is uncommon, there are between 1,000 and 2,000 cases in England and Wales every year. The initial infection is characterised by a red rash that gradually expands outwards from the site of the bite. Antibiotics are usually used to treat the infection. The condition can also damage the joints, which can lead to arthritis and heart problems (occasionally), such as inflammation of the heart muscle (myocarditis) and inflammation of the thin, two-layered, sac-like tissue that surrounds the heart (pericarditis). West Nile virus is an infection with flu-like symptoms spread by mosquitoes. There have been no reported cases of West Nile virus in the UK, but there have been cases elsewhere in the world. Since 2001, the HPA and the Department of Health have been raising awareness of the infection. Each year, there are around 1,500 cases of malaria in travellers returning to the UK. A certain type of malaria, known as Plasmodium falciparum, is potentially fatal and accounts for over half of all annual cases in the UK.